Upon his election as President of UEFA, Michel Platini made it an express concern to diffuse European power away from solely in the hands of the traditional powerhouses. He had numerous plans to do this, ranging from changing the format of Champions League qualification, to the often mentioned, but seldom properly understood, Financial Fair Play rules. Now, nearly six years after his initial election as President of UEFA, Platini’s ambition to see the traditional European stronghold challenged finally appears tangible. And yet, rather than this happening by levelling the financial playing field as he had hoped, it is in fact happening entirely separately from any of his doing – rather it is the mind-blowing financial backing of a cluster of clubs – mainly behind the old ‘iron curtain’ – which is serving to challenge Europe’s established elite. As mentioned, this is most clearly seen in Russia and Ukraine. In the Champions League, Shakhtar Donetsk arguably represent the greatest threat of any club from the previous Soviet Union in recent history. Chelsea, their opponents this Tuesday, need only to look at Donetsk’s previous result in the group stage, a 1-1 draw at a powerful, resurgent Juventus side, a game in which they took the lead, to see the danger they represent. Perhaps the main difference these days with sides like Shakhtar, is that they now have the financial clout to keep hold of their strongest assets. 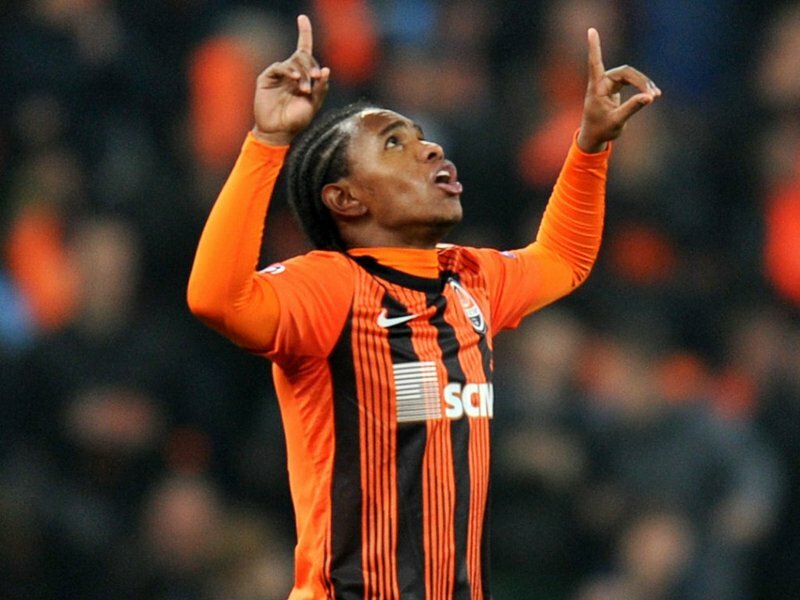 Willian, arguably one of the most talented attacking midfielders in the European game currently, was consistently linked with Tottenham Hotspur in the summer, and yet Spurs baulked at Shakhtar’s asking price, and as a consequence, the midfielder remained in Ukraine. To thank for this, Shakhtar have Rinat Akhmetov, a local businessman and oligarch and current member of the Ukrainian Parliament. One of the richest men in the country, his story doesn’t necessarily represent the ‘local boy done good’ – he has frequently been linked with organised crime and local mafia. This wouldn’t appear to matter to those associated with Shakhtar however, as long as success continues to come their way. Zenit St. Petersburg have been disappointing in the Champions League so far, with two defeats from two. However, with their spending power, this writer suspects that if not this year, then within the next few, they could become genuine contenders in the knockout stages. Whilst Zenit are no newcomer to European success – see their UEFA Cup win and subsequent Super Cup triumph – rarely have they made such a splash in the European transfer market as this summer, spending £64 million on the marquee signings of Axel Witsel and Hulk. Accompanied in a spine including the likes of Bruno Alves and Alexander Kerzhakov, they look dangerous. A previous problem for Russian clubs – that their season ran from February to November – has now been rectified, the season brought in line with the major European leagues, which will surely only help its clubs in European competition. Bankrolled by Alexander Valeryevich Dyukov, born in St. Petersburg and chairman of Gazprom Neft, one of the world’s richest oil companies by resource, Zenit’s spending power looks unlikely to diminish any time soon. More publicised in Russia, has been the spending of Anzhi Makhachkala. Derided by many as a flash in the pan, Liverpool’s Europa League opponents this week appear set to be on a much more long-term project. World-class manager Guus Hiddink has recently signed a long-term contract, and the spending power of Suleiman Kerimov (#146 on the Forbes List of Millionaires) shows no signs of slowing down. Aside from the astronomical wages paid to Samuel Eto’o however, lie a cluster of much more prudent and potentially effective signings. The likes of Christopher Samba, Lassana Diarra and Lacina Traore have all been pivotal in Anzhi’s rise to top of the Russian League after 12 games, and to the top of Liverpool’s Europa League group. If Anzhi can continue their form and qualify for next season’s Champions League, then they will only attract further international talent. Without doubt, they are one to watch on the European scene in the next 3-5 years. If one needs evidence of the changing face of European football however, look no further than the success of BATE Borisov, hailing from Belarus. Having never won a group stage match in the Champions League before, they have begun their campaign this year with two remarkable wins – 3-1 away at Lille, and 3-1 at home against last season’s finalists, Bayern Munich. Whether they can continue this form is of course difficult to say. However, spurred on by Brazilian attacker Maycon, naturalised Belarusian Renan Bressan, plus a host of his fellow countrymen, Borisov have certainly made an impact. The one exception to this Eastern European revolution is of course Paris St. Germain. Other than location, what also distances them is that their new-found financial clout is not from local sources – rather the Qatar Investment Authority, who have overseen a staggering $254 million of transfers in the last two years. The Parisians now boast a star studded line-up, with the likes of Thiago Silva, Zlatan Ibrahimovic, Ezequiel Lavezzi and a host of other stars, ensuring ‘Les Parisiens’ remain unbeaten in Ligue 1. However, an impressive crushing of Dynamo Kiev on Matchday 1 of the Champions League was followed by defeat in Porto, showing Carlo Ancelotti that quick spending does not equal instant European success – just ask Roberto Mancini! Having said that, the immediate success of PSG makes them the likeliest candidates of any of this ‘new breed of clubs’ to challenge in this season’s Champions League – certainly English clubs won’t be hoping for a visit to the Parc des Princes. So what does all of this mean? What it certainly doesn’t mean is that clubs from the East are suddenly going to break the stranglehold of the Spanish, English and German sides in the Champions League. However, the influence of these clubs can already be seen in the Premier League. As mentioned, Spurs could not afford the asking price of Willian, whilst Manchester United were priced out of the competition for Brazilian winger Lucas Moura, now set to join PSG in January. The rise of this new breed of clubs shows that English clubs, for instance, can no longer feel guaranteed to reach the latter stages of the Champions League in cruise control, as shown by Manchester United’s exit last year. It may not be this year, but the likes of Shakhtar, Zenit, PSG and even Anzhi could all be challenging in the latter stages of the Champions League within 5-10 years. The area comprising European football’s finest is expanding and changes may come sooner than expected. This entry was posted in Analysis and opinion and tagged aleksandr kerzhakov, anzhi, axel witsel, BATE borisov, champions league, chelsea, europa league, gazprom, guus hiddink, hulk, lacina traore, liverpool, lucas moura, michel platini, paris st germain, samuel eto'o, shakhtar donestsk, spurs, willian, zenit st petersburg by Ethan Meade. Bookmark the permalink. Point well made, but UEFA and their financial fair play act is still targeting the wrong clubs. You surely saw the list of 23 champions league clubs on their “further investigation” list. NONE of them were the big spending clubs. Yes, supposed smaller clubs outside of England, Germany and Spain, are doing better in CL, but it still comes down to money and those “outside” clubs spending exorbitant amounts of money to attract players. You are absolutely right in saying that instead of this financial fair play act doing the job, the market has done the job itself. Guys with billions of dollars that see the potential in a club or simply want the frills and attention that come with owning a club do so, and buy players like they are monopoly pieces. This is obviously too complicated a subject to remark on in one comment, but as long as teams payrolls are unlimited, money will be the deciding factor. Good article though, dug it. The author here – totally agree, UEFA’s financial fair play has had absolutely no effect on the big-spending clubs, and in my opinion, it never will. UEFA have let things get too far, and they now can’t get things back. As we all saw with Manchester City, who simply announced a huge sponsorship deal with their Abu Dhabi partners Etihad Airways to break even, there are clear ways around the system.